Quality product and the small size I ordered fitted perfectly. It finished off my outfit for the horse racing and I was delighted. 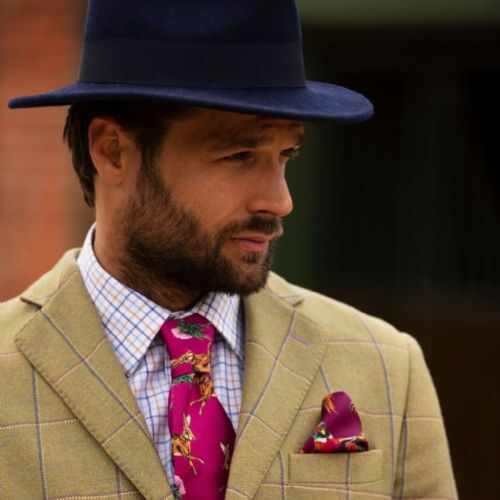 Ordered this fedora just the week before the Cheltenham festival . The hat arrived quickly and was absolutely beautiful. A lovely navy colour which went really well with my coat. It is also waterproof which is what we need in March in the UK. The hat was also very reasonably priced ....not like others I saw in the Festival shopping village! Love my new hat, great service - great quality can't wait for an outing! I bought this hat to wear to Cheltenham festival as I thought is would help dress up my outfit. It arrived quickly and was exactly what I was looking for. I received several compliments on it throughout the day and despite the rain it kept me completely dry!